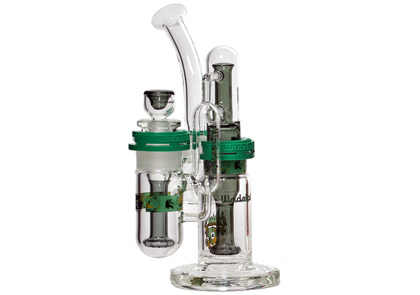 Some of the technology that Illadelph Glass has brought into the pipe industry includes: Coil Condensers, Disc Perc Technology, Up Stem Ash Catchers, Multi-Hole Bowl Designs, Pyramid Percs, as well as the use of Heat Wands in conjunction with Hot-Hit Bowl Designs. 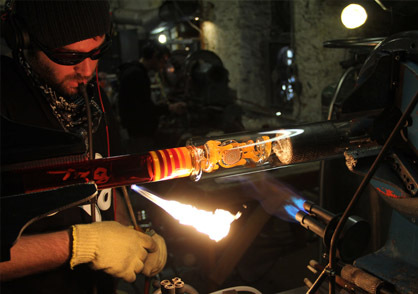 These advances are just a few of current industry standards that helped to elevate technology in the glass blowing industry. Illadelph Glass proudly offers a completely U.S. made product line built from the ground up in Philadelphia, PA and its surrounding areas. Our custom die-cut packaging and clips are American made and completed with the number one rated grinder in the world. An extensive partnership with one of Americas last remaining joint manufacturers enables us to offer a thicker and more durable joint design, ranging in various colors and sizes. 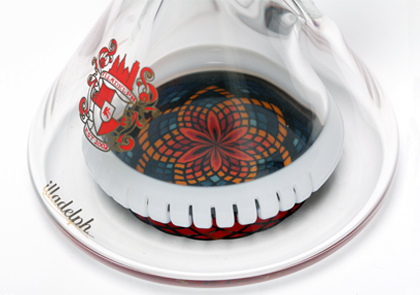 Our intricate label patterns and extensive quality control measures ensure our customers are provided with the most dependable and reliable functional glass art available.